So as an avid traveler, why should I know more about Quy Nhon – a strange name on the travel map of Vietnam? 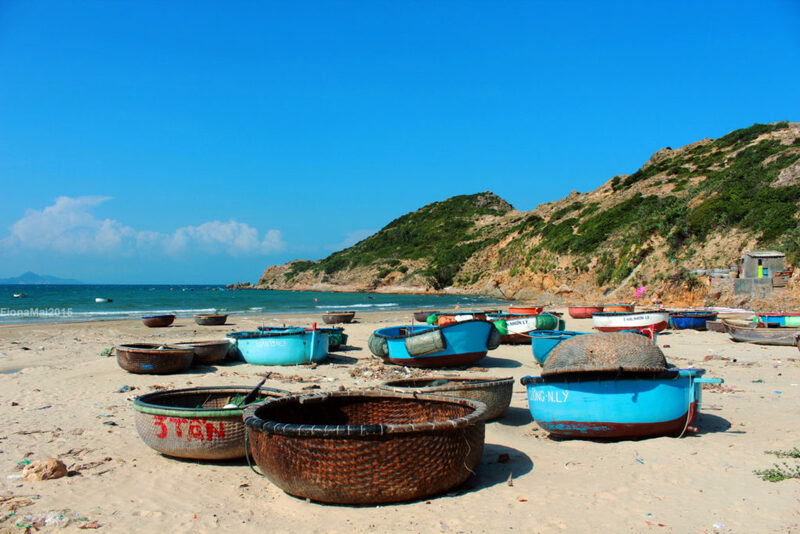 Look at the pictures of Quy Nhon below and you’ll know why you don’t want to miss this beautiful coastal city during your trip to Vietnam! 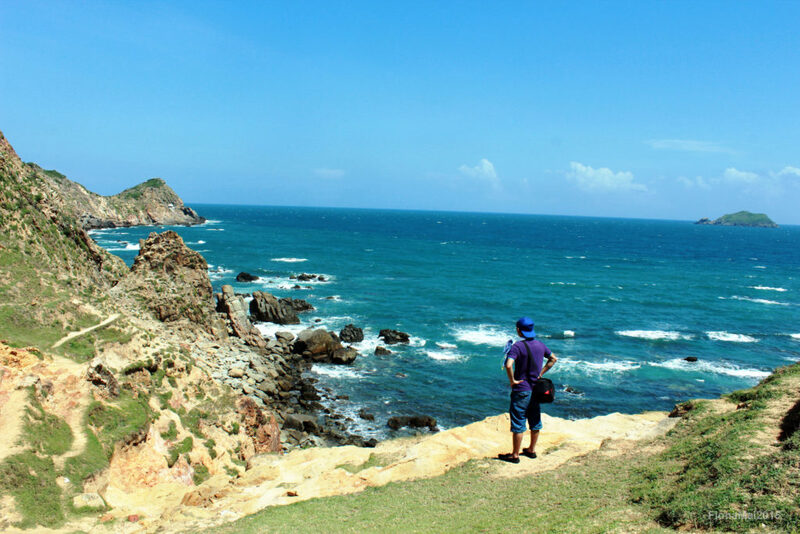 Quy Nhon is a seaside city in Binh Dinh province, lying not so far from other famous Central Vietnam’s destinations such as Da Nang, Nha Trang and Mui Ne. We made a 3-day trip to Quy Nhon in October, 2015 thanks to a hotel voucher gift, and quickly realized how heavily underrated the city was. Here are some of my Quy Nhon Vietnam travel tips including things to do in Quy Nhon, how to get to Quy Nhon and so on. 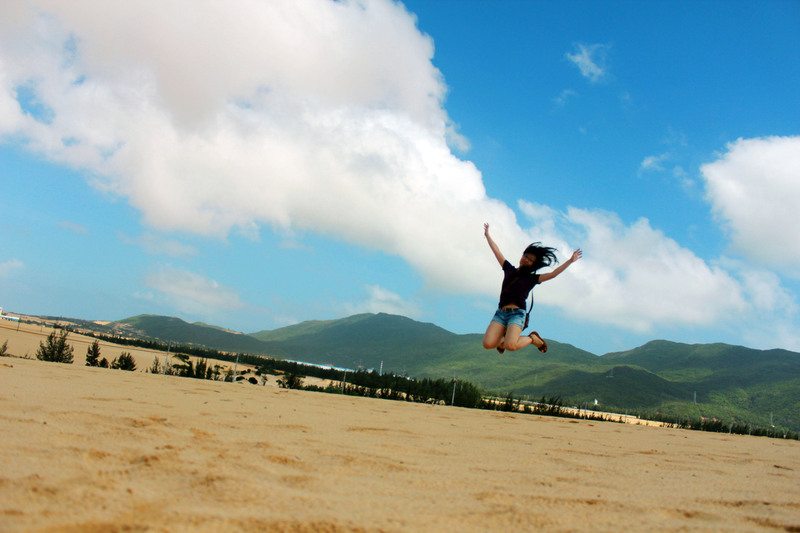 Attractions in Quy Nhon: Things to do in Quy Nhon? 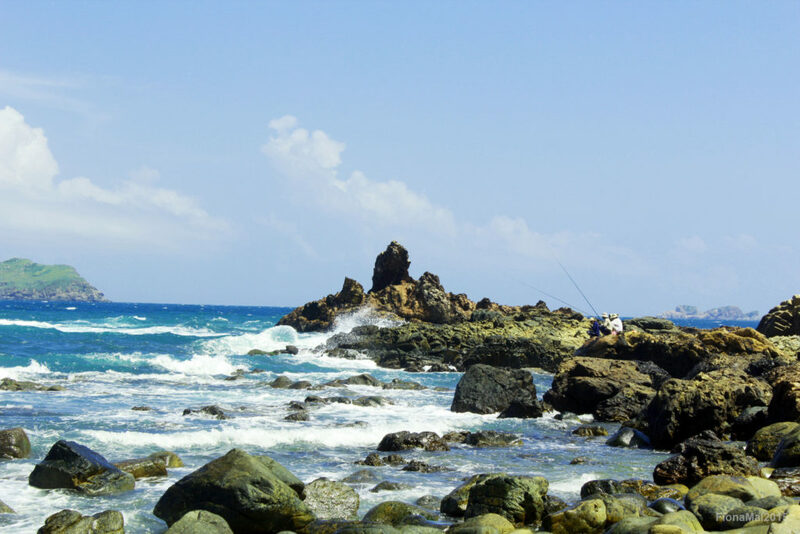 Here is a list of attractions in Quy Nhon for first-timers, and of course it’s not all about the sea. Have you ever seen a flat and smooth natural egg-shaped stone? While such a special stone is often scarcely seen, you will find MANY of these on the Queen Beach. They come with different colors, making the whole beach look like a beautiful playground. Here are some snapshots of these. 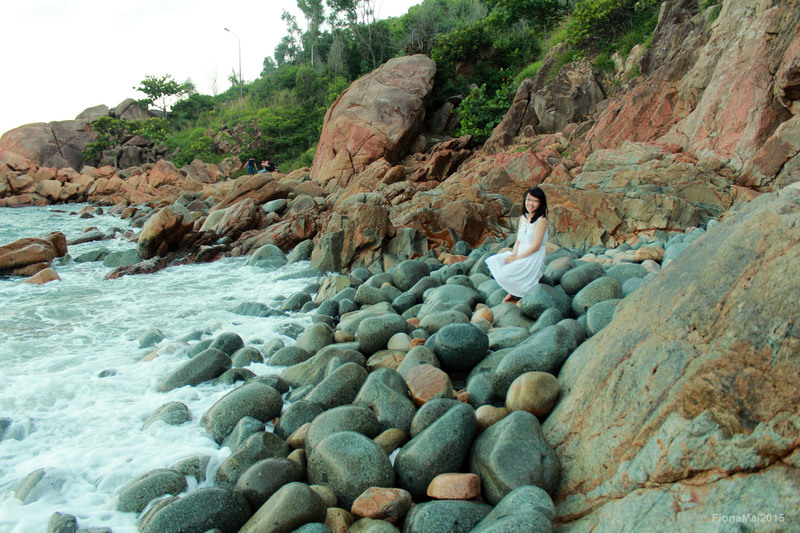 And by the way, the Queen Beach took its name after a visit from the then Queen of Vietnam (Nam Phuong Queen). The beach is located inside Han Mac Tu Memorial Park. Han Mac Tu is a famous poet in Vietnam in the 30s. He died from leprosy at the age of 28 and was buried inside this park. There’s an area in Quy Nhon Vietnam where you can see many sand hills on both sides of the road. Brought together by the sea wind, these hills form spectacular mini deserts where local people and tourists sometimes come over for fun activities such as downhill sliding. 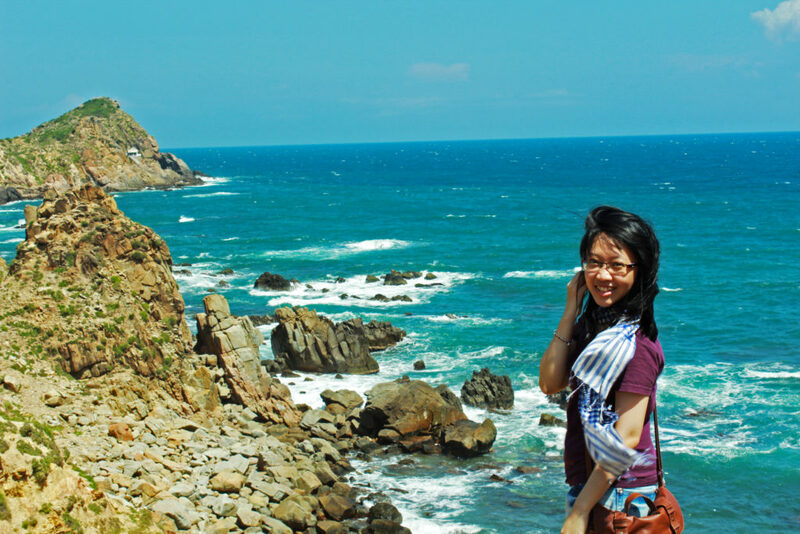 Eo Gio is certainly my favorite attraction in Quy Nhon. It would have taken us around 30 minutes to ride from our hotel near the city center to Eo Gio on our motorbike; however, the roads were surprisingly spacious and deserted so we arrived there in only 20 minutes. Eo Gio is a well-arranged natural structure of rocks, hills and sea. You can climb up one of the hill tops to behold this awe-inspiring landscape. Be careful though as winds here are very strong, which forms the basis for the attraction’s name Windy Pass. You can also go downhill to be closer to the sea. There is no beach here, only stones that form a border between the sea and the land. Although it was midday when we arrived at Eo Gio, being at the foot of the hill brought us a refreshing chill from the sea air. After exploring Eo Gio, you can also visit a local fisherman village nearby. Don’t be surprised to find only women and children here, as the fishermen often sail away rather than stay home. It’ll be nice if you have a translator who can help you start some interesting conversations with these locals. Otherwise, enjoy the peaceful atmosphere here! Ky Co Island is a beautiful deserted island close to Eo Gio. Some local tour companies such as quynhontourist.vn or dlmt.vn organize daily trips to Ky Co island. However, the weather is not always safe to go there so you’d better call to check with the tour companies first. I’m not sure how much English they understand so you might want to ask your hotel receptionists to call them for you. Often the best time to go to Ky Co Island is from April to September. I don’t have any photo of this island to show you here, as the bad weather prevented us from sailing there last October. However, just google the name and you’ll find many interesting photos of this pristine island. 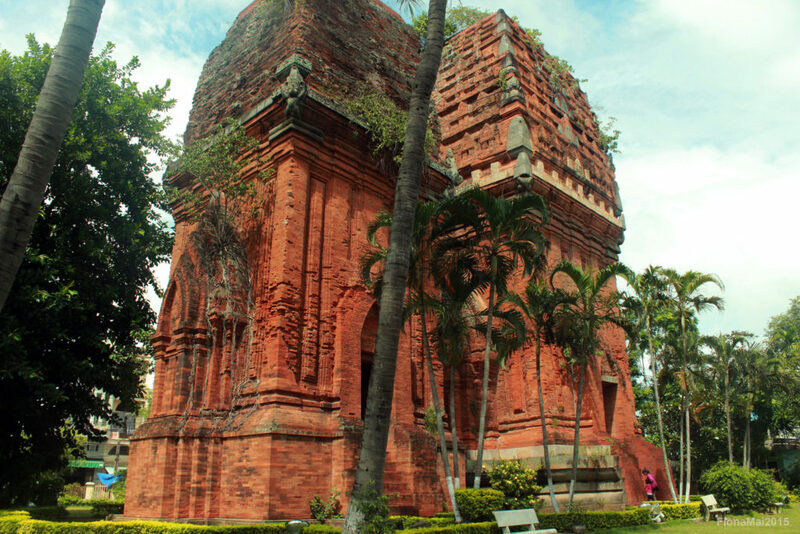 Built from the 10th to 15th centuries, these towers belong to the old Champa Kingdom with the height of around 20 meters. Decorations from the towers took inspirations from old tales in Hinduism. If you have been to Angkor Wat in Cambodia, you might feel a sense of Siem Riep here when visiting these two towers in Quy Nhon Vietnam. How to get to Quy Nhon? We arrived at Phu Cat Airport in Quy Nhon after a one-hour flight from Hanoi. 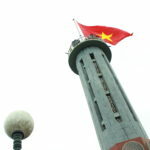 There are daily flights to Quy Nhon from Hanoi and HCM, operated by Vietnam Airlines, Vietjet Air and Jetstar Airways. From Phu Cat Airport, you can take a shuttle bus directly to the center of Binh Dinh with the price of 50 000 vnd per ticket. Just go out of the airport checkout area and there will be people coming to fetch you to the shuttle bus. Remember to note down the pickup address of this shuttle bus in Quy Nhon center for your return trip back to the airport. Alternatively, taking a taxi can cost you up to 300 000 VND, especially when you can be cheated sometimes by the driver. There are daily trains to Quy Nhon from Hanoi (SE1, SE3 – fastest, SE5, SE7) and HCM as well (SE2, SE4 – fastest, SE6, SE8, SE26). All these trains (except from SE26) also connect Quy Nhon and Nha Trang, Phu Yen, Hue, Da Nang, Hoi An, etc. If you want to travel from Hoi An or from Nha Trang to Quy Nhon for example, just board one of these. Note that the train’s departure time can be very early in the morning. Here you can find the timetable for all trains to Quy Nhon (sorry only in Vietnamese). To travel to Quy Nhon, you need to stop at Dieu Tri Train Station. From here, you can take a taxi to Quy Nhon center at around 250 000 VND. 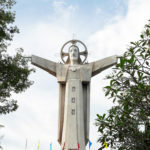 Check out daily coach / bus to Quy Nhon from Hanoi or HCM at vexere.com. You can also book and pay online here. 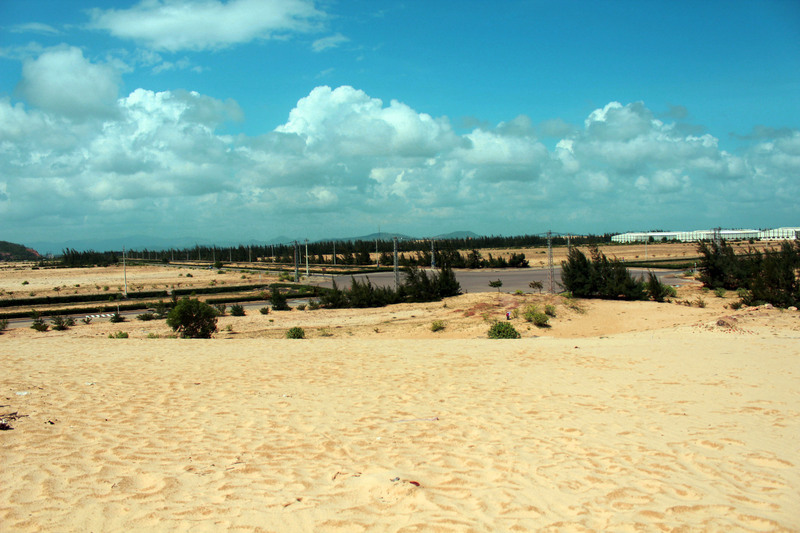 The bus journey from HCM or Hanoi to Quy Nhon is quite long (around 15 – 18 hours). If you opt for this means of transport (which is 2 times cheaper than taking a train), it’s better to choose a night bus with berth for your comfort. For more information about public transportation in Vietnam, check out this very useful guide HERE. We recommend renting a motorbike to travel around Quy Nhon. The city is not too big and the furthest attraction is only 30-minute-drive away. A motorbike costs around 100 000 to 120 000 VND per day for rent. It’s pretty easy to get around the city by motorbike. We checked google map and asked the locals whenever we thought we got lost. The locals were super friendly! There’s a wide range of accommodations in Quy Nhon which you can choose from: homestay, 1 – 5 star hotels, luxury resorts etc. We stayed at Muong Thanh Quy Nhon Hotel and though it was promoted as 4-star, we didn’t quite think this hotel’s standard matched that ranking. My friend stayed at Hoang Yen Hotel 3 (sea view) and was quite satisfied. Otherwise, if you have a larger budget, FLC Quy Nhon is also a highly recommended accommodation in Quy Nhon. Food in Quy Nhon: What to eat in Quy Nhon? I forgot to mention the food! There are certainly lots of fresh seafood in Quy Nhon and the price can’t be more reasonable. Tip for you: Seafood costs even less around the Eo Gio area! There’s also a traditional dish called banh trang cuon nem nuong which you should definitely try. The dish comprises of savory grilled pork being wrapped with different types of vegetables in rice papers and dipped in a special source. Yummy! Banh trang cuon nem nuong: 113 Tang Bat Ho St.
Rice noodles with fish: 379 A-B Nguyen Hue St.
Quy Nhon is not a bustling city for nightlife, yet there are still things you can do. Locals often gather around the beach in the evening to enjoy a cold beer, have a nice stroll or try some street food. Surf Bar is a nice bar on the beach with nice music. Swimming: Are there sharks in Quy Nhon beach? There used to be some accidents involving sharks in Quy Nhon Vietnam. However, just follow your common sense and you’ll be alright. Don’t swim too far away. Don’t swim where nobody else’s near you. And don’t swim in areas not recommended by the local security officers. I actually have not heard of any other shark attack in Quy Nhon for several years now. Note: This post contains some affiliate links but don’t worry! You won’t be charged anything extra by booking via these links. 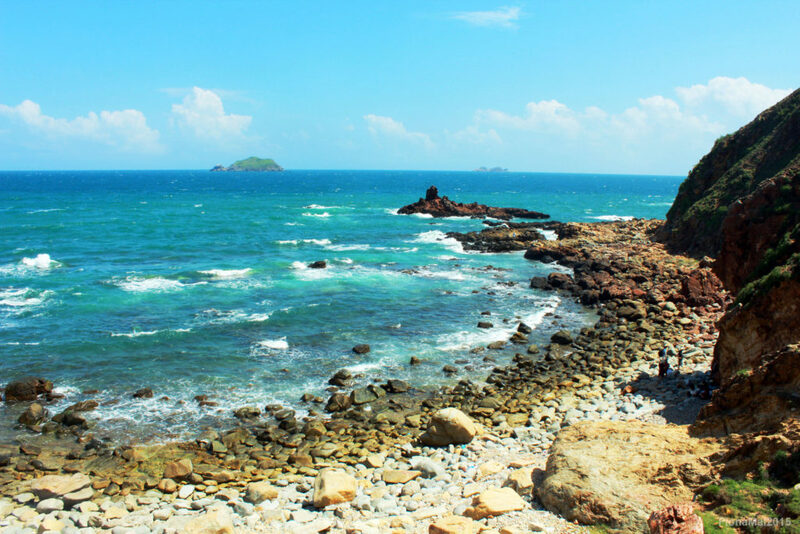 Oh wow, I have traveled Vietnam pretty extensively and have never heard of Quy Nhon, it really does seem like an under-rated and unknown destination. A best kept secret. The water lookslovely and blue! I would love to visit Thap Doi too! Lovely write up of an area which looks hugely underated. I love the look of Vietnamese temples – I’d love to visit. I am a also a huge fan of the food Maybe I should be jumping on a plane right now! Wow the egg beach looks epic. I love how there are deserts! Didn’t expect that at all in Vietnam, that is crazy cool. Those temples etc are really cool. Glad I found this post since I’m planning a Vietnam trip for later in the year! I’ve honestly never heard of it before, so you’re right it is probably underrated. But the photos you took are gorgeous. It will certainly be considered now in the future travel plans to Vietnam. 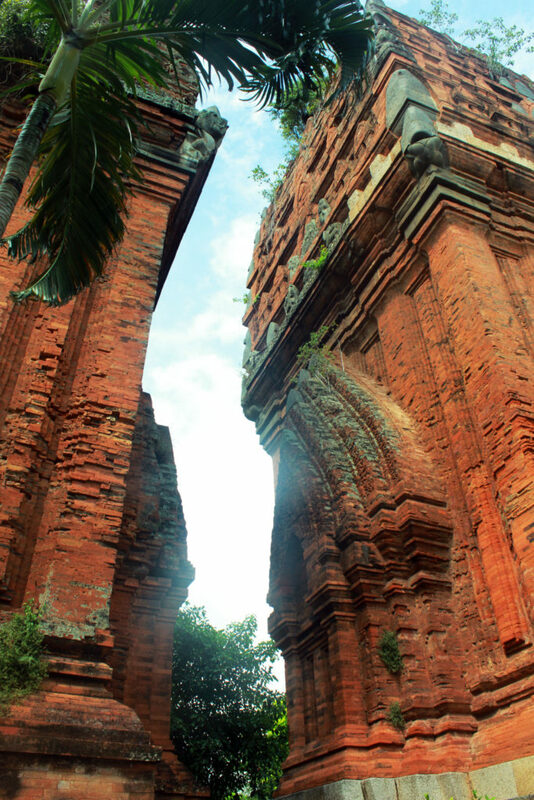 This looks like an amazing place in Vietnam and your photos capture it beautifully. I would love to see the Thap Doi – Champa towers! Looks like a nice treat to my architecture lovers eyes ha! When I go to Vietnam, I will try and make it down to Quy Nhon. Thanks for sharing! There are a lot of Cham’s Tempers around Quy Nhon, from XII century. If you love this kind of architecture, just don’t miss Duong Long Temple. I’m leaving a picture of it for your reference ^^. Oh wow, this is gorgeous! 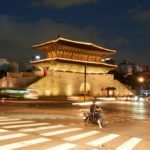 I’ll be visiting South East Asia later this year (I’m still planning my itinerary) and Vietnam will probably be on my list – I’ll definitely bookmark this for future reference! Eo Gio and Thap Doi are beautiful – I’d love to see them! Thanks for all the tips! The beach looks so lovely! Are there any beach side resorts here? Also, I loved the architecture… great! My in-laws just went to Vietnam last year and comparing your photos to their’s, I think they missed out big-time! Egg Beach looks super cute! I’ve been to Nha Trang and Mui Ne but haven’t heard of Quy Nhon. It looks like a lovely tranquil place and the beaches look fabulous. I wish I’d dropped by when I was there! Thanks for introducing me to a place I was not familiar with. Looks like a cool place to explore and even better that is off the beaten path so not too touristy. Old ruins to explore and beach to chill out on, a peaceful place. Hope I can visit one day! I had no idea Vietnam had such a beautiful coast, it reminds me so much of here in Ireland. This will definitely come handy for when I visit Vietnam, so many hidden places to discover! Quy Nhon looks awesome. I went to Vietnam a few years ago but totally missed this place! I will definitely be making a point to go there when we head back. Loved your photos and find the post so agreeable to read, with the right amount of information and experience. Discovering Quy Nhon was a nice surprise (never heard about it before) that show that there is a big beautiful world waiting to be known. I plan on going to Vietnam later this year so all of this post is awesome! I am slowly but surely learning about all the amazing places that Vietnam has to offer. Will definitely add this to my list! Well written. This place should remain underrated. It is so beautiful. I felt it is a hidden gem where flocks of tourist don’t reach. That’s why it has retained its charm and beauty. I love those beaches and I love those heritage buildings too! Totally my kinda place!!! The temple looks amazing and the water looks so blue! Definitely looks like a great place to visit when in Vietnam! I’m actually heading to Vietnam in about a month! My itinerary currently has Da Nang, Hanoi, and Ho Chi Minh, but I’m thinking I might need to add this place!! Especially love the egg beach! 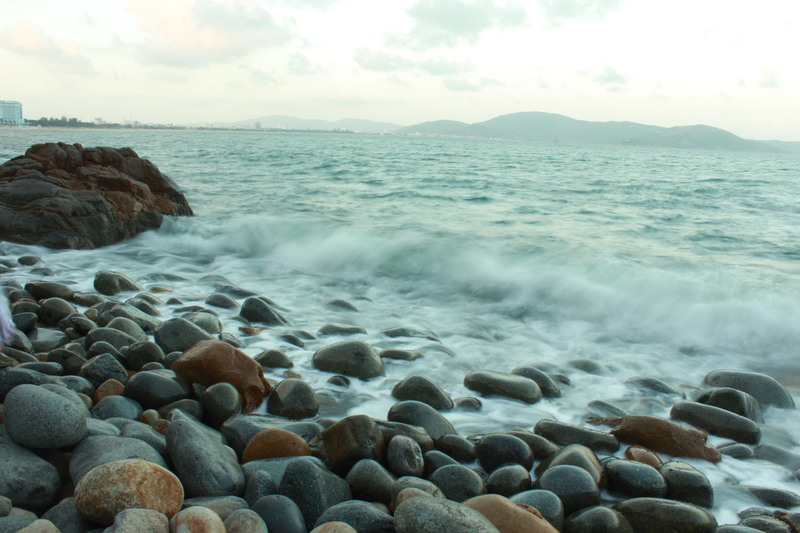 I can see why you love Quy Nhon! The stones on Egg Beach are amazing! 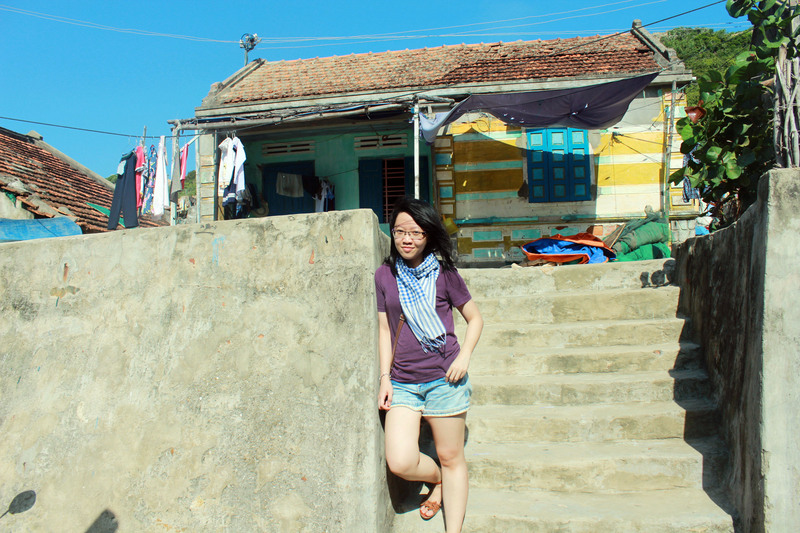 And I would love to visit an off-the-beaten-track place like the Fisherman Village. Sounds like a great experience! Whoa! You have shown me a side of Vietnam I never knew about! The egg beach looks as if it’s straight out of a story book. 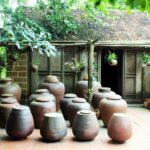 I had a very different perception of Vietnam till I read this. Thanks for this offbeat post! Great post. I was checking constantly this blopg and I’m impressed! I was seekng this particular info for a very long time. 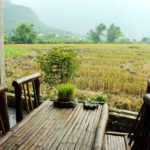 I was working on my Vietnam trip itinerary yesterday and I am so happy that I found the information about this little paradise on your blog. I am definitely including Quy Nhon into the itinerary – the beaches are so secluded! 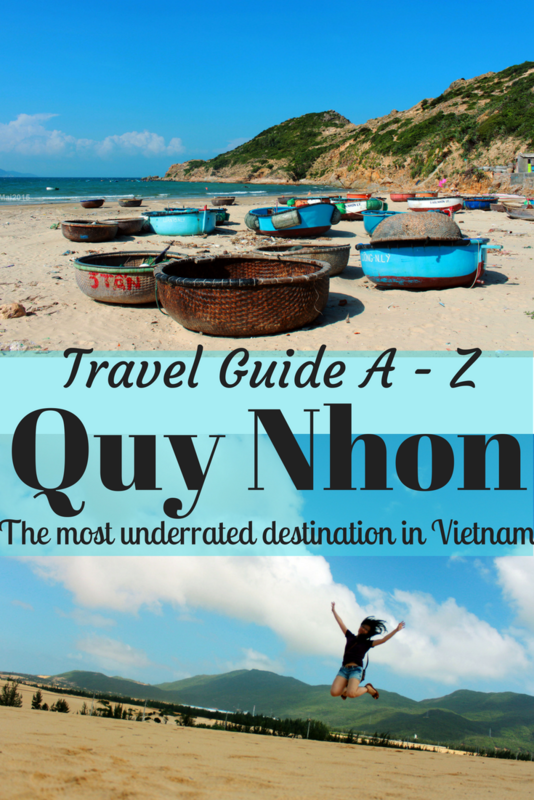 Quy Nhon sounds very interesting. I have yet to visit Vietnam and will add this town to my list. Your comprehensive guide will make it easy to get around. Liked the suggestion to find a translator to help communicate with the locals. I went on a 3.5 week trip around Vietnam and hadn’t heard of this place. Great write up on things to see and do. Thanks for sharing the tips around the logistics of the trip. Absolutely gorgeous photos! I must admit I’ve never heard of Quy Nhon but it seems like such a great alternative to some of the more touristy places of Vietnam. Southeast Asia is not on my radar atm, but I’d love to visit in the near future since I have a friend who is Vietnamese. I never knew the landscape was so diverse ! Deserts? Who would’ve thought?!! Looks like a very authentic place! I have travelled around Vietnam but never herad of this hidden secret before. Thank you for sharing!